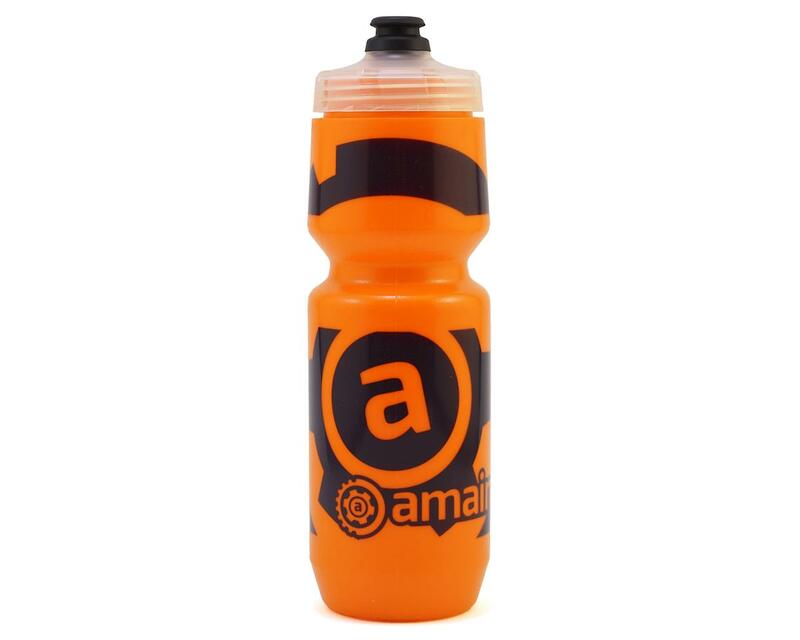 Stay hydrated using the Specialized Purist water bottle gilded with custom Amain Cycling livery. The Purist water bottle technology shields the bottle from any bad taste, mold, or staining. It's as pure as drinking from a glass, but with all the advantages of a flexible bottle. Nothing sticks, so your bottle stays clean and your water tastes pure. The 26oz size gets you through the ride, and the MoFlo cap is easy to open, effortless to use, and leak-proof when closed. Amain Cycling logo for a fresh look that stands apart from the crowd.